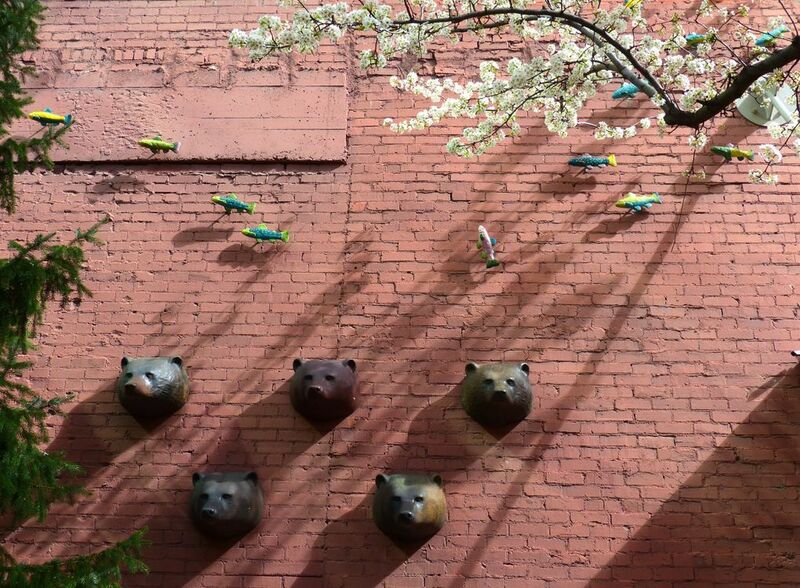 A youthful vibe and lively cultural scene are fueling Idaho’s capital city. 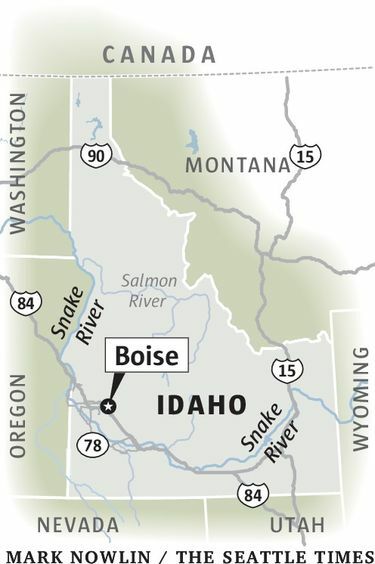 When I visited Boise recently, I found the capital of this state with a reputation for root vegetables to be a hip and happening place, easily dashing many people’s notions about Idaho. 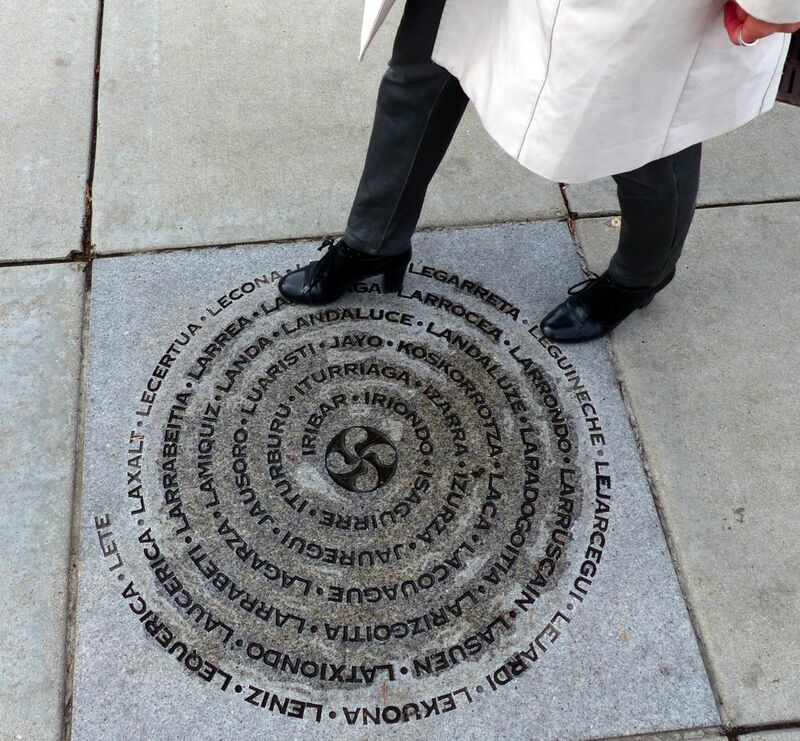 Its progressive, Basque-heritage mayor set out 12 years ago to make this America’s most livable city, and it shows, in the prospering downtown, beautiful parks, and a lively arts and cultural environment. How many cities this size (pop. 216,000) have their own arts office? There’s plenty to attract a young and energetic populace: miles of bike trails, a hometown ski hill (Bogus Basin), a burgeoning craft-brewery scene, even — yes — a surf park, where a diversion structure on the Boise River can be adjusted to make white water for surfers, kayakers and so on. Go ahead and say it: Surf Boise. “Boise is awesome — the nightlife is amazing and all you need is a bicycle to get around,” 28-year-old Robert Ordonez, visiting from Alaska, said as he paused to check a tire at a public bike-repair station (they have public bike-repair stations!) on the Boise Greenbelt (bit.ly/1r5CAuT). The flat, paved, 25-mile riverfront path is complemented by 190 miles of off-road trails and tracks that compose the Ridge-to-Rivers system in the Boise Foothills, at the town’s edge (ridgetorivers.org). 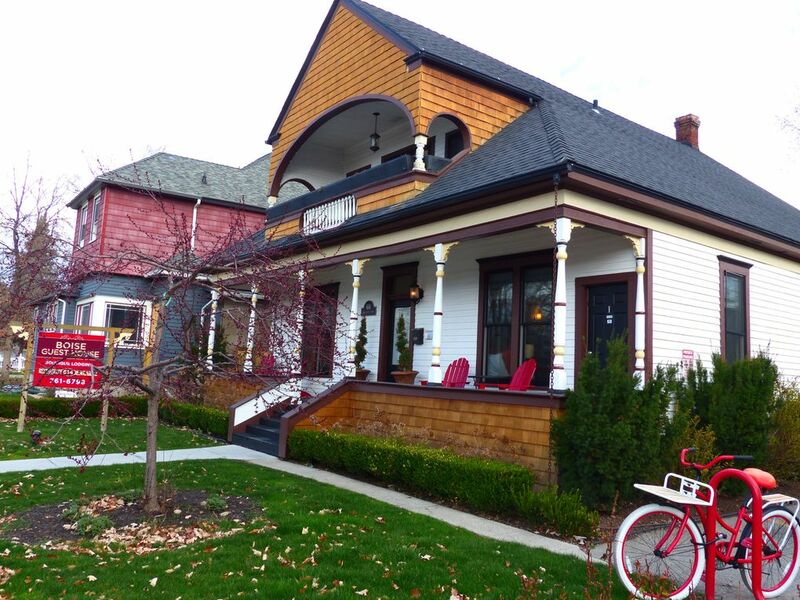 My lodging, a 121-year-old home renovated and converted to the trendy Boise Guest House, provided cruiser bikes for an extra 10 bucks a night, so I didn’t bother to rent a car. These days, the new money is on the guilty-pleasure Boise Fry Co., which serves up seven foodie-pleasing choices of potatoes fried in GMO-free sunflower oil, with locally sourced bison burgers as a “side.” Its flagship restaurant is in the turreted, 110-year-old Adelmann Building, at Idaho Street and Capitol Boulevard (boisefrycompany.com). For the record: Purple potato fries go fine with blueberry ketchup, one of a bunch of special sauces to try. Even the fortune built on the Golden Arches is adding whimsy and a modern spin to downtown with December’s soft opening of the Simplot-financed JUMP (“Jack’s Urban Meeting Place”), 1000 W. Myrtle St., a nonprofit “interactive creative center” somewhat reminiscent of Seattle’s EMP Museum (jacksurbanmeetingplace.org). In a sprawling, slightly Seussian complex — a five-floor tubular slide spirals from a rooftop — next to the construction site of the Simplot Company’s new headquarters, JUMP houses a music-and-film studio, an inventor’s studio (with 3-D printer coming soon), a dance studio, cooking-class quarters — and Jack Simplot’s collection of 52 antique tractors (it is Idaho). Even the most devout Boise promoters aren’t quite sure what to make of it yet. Tours are coming soon. 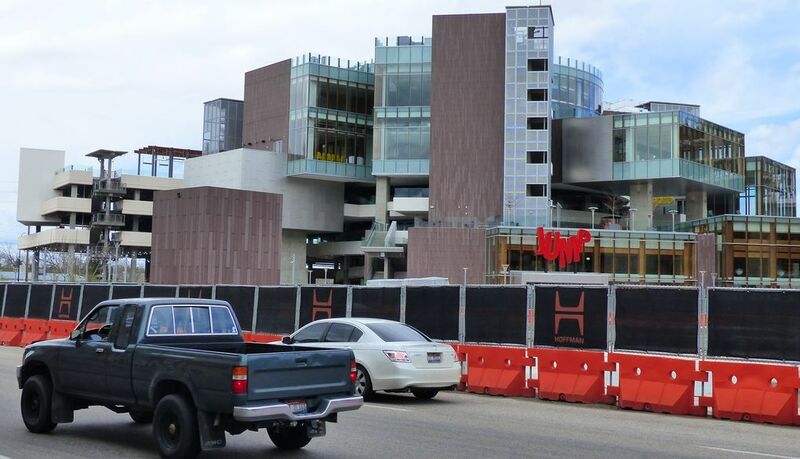 A grand opening is expected in late 2016. 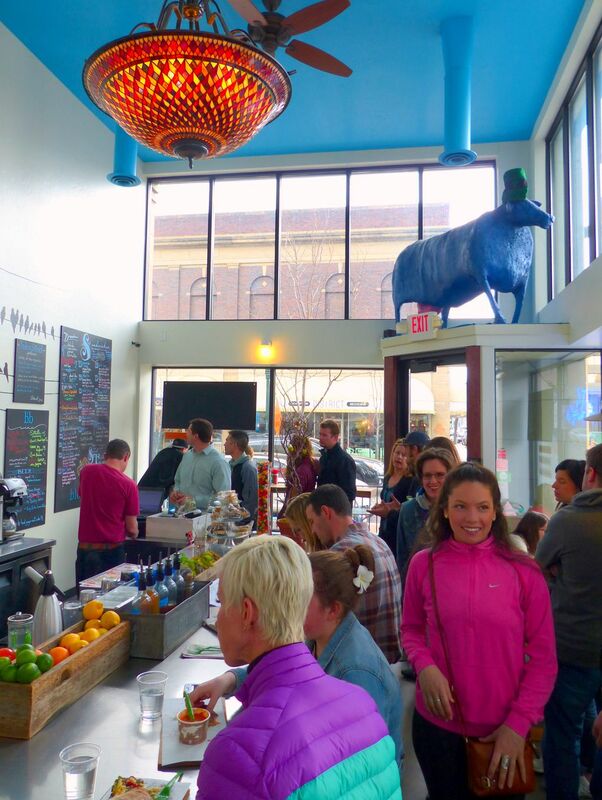 “Downtown Boise is cool without trying too hard,” Hightower said. Smart thing: You know how every traffic signal has a big metal box housing the controls? 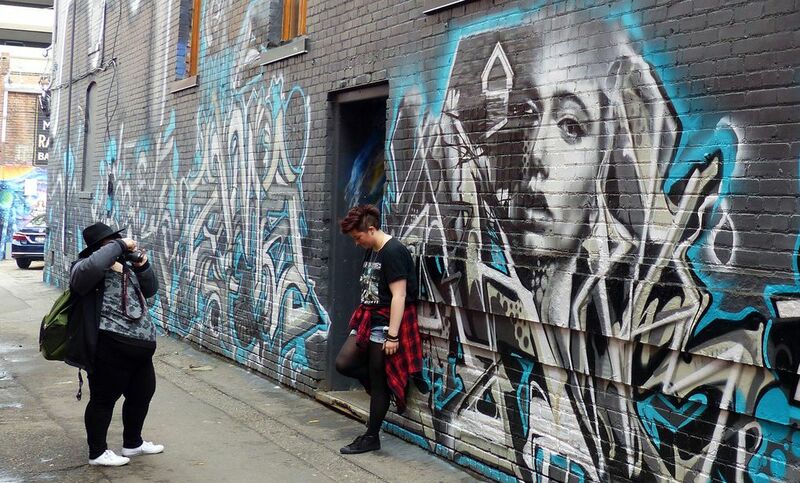 Sitting on sidewalks, they’re a target of taggers. Not here, where the arts office solicited artwork, scanned it to vinyl and wrapped more than 100 downtown traffic boxes. 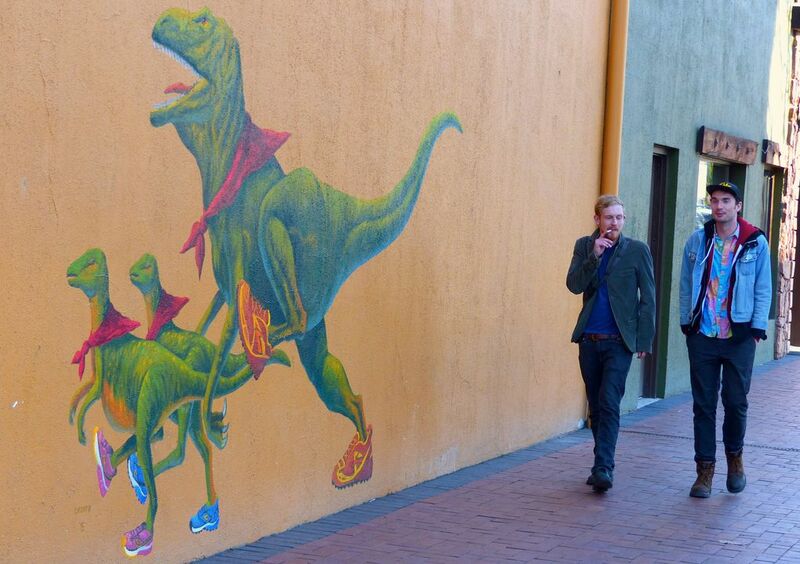 They’re works of street-corner art that taggers leave alone. 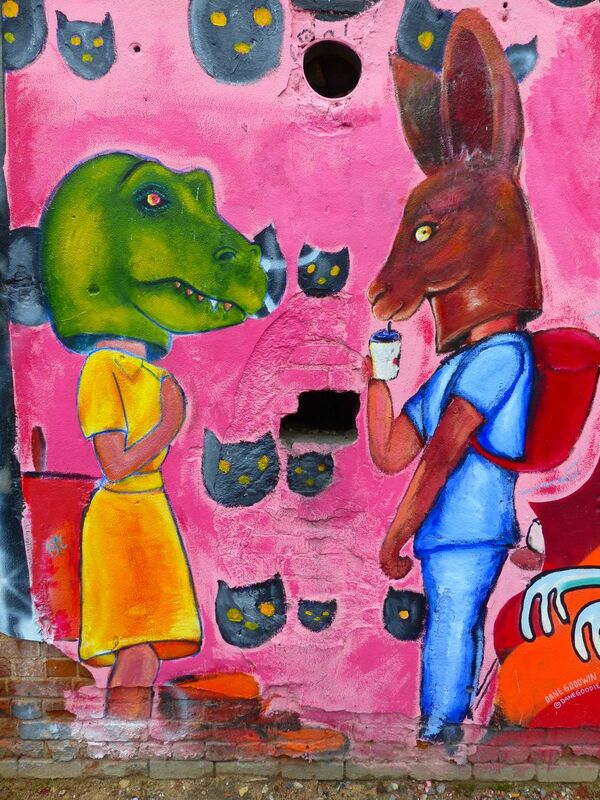 For determined street artists, there’s Freak Alley, managed independently of city pooh-bahs. 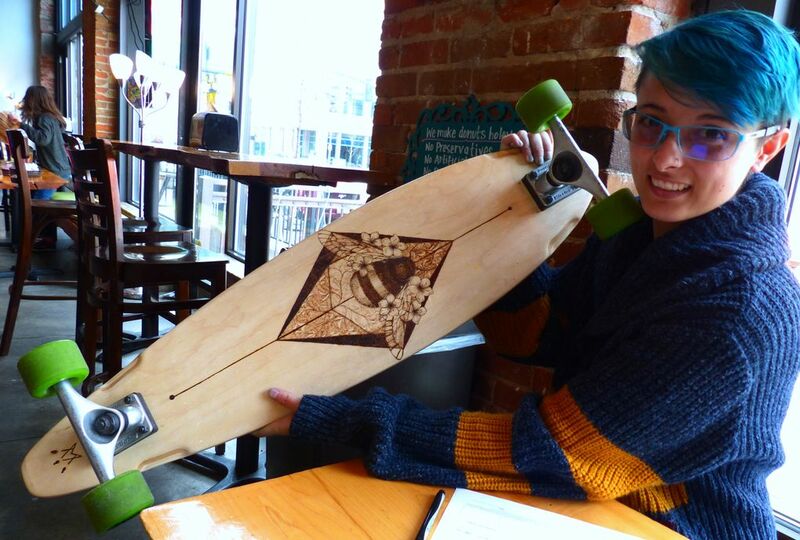 It started in 2002 when street artist Colby Akers decided to decorate the back door of a cafe between Eighth and Ninth streets. Someone who worked there liked his work and asked him to sign it. Akers now “manages” Freak Alley, a full city block of mural art that is regularly refreshed through a juried selection process (freakalleygallery.org). 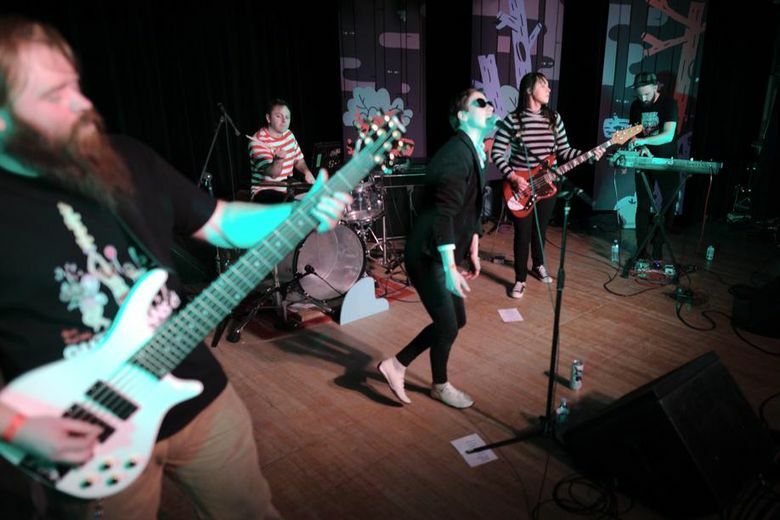 Adding to Boise’s vibe since 2012 is the annual indie rock festival called Treefort (treefortmusicfest.com), what’s been called the West’s best alternative to South By Southwest (and timed in late March in part to catch performers on their way home from Austin). Wander the historic district and be glad that sensible minds put a halt to 1970s efforts to raze the whole downtown and build a shopping mall. When bulldozers reached the Egyptian Theatre, Boise businessman Earl Hardy stepped in, said “You can’t have it,” and bought the 1927 movie palace (Capitol Boulevard and Main Street; egyptiantheatre.net). Fully restored in 1999, it’s one of the most superb surviving theaters of its era, full of Egyptian-style art and gilded statuary. It even has a ghost. There’s plenty of new construction downtown, too, including three new hotels, a 36,000-square-foot addition to the convention center, and a neighboring building to house Clearwater Analytics and the Boise State University computer-science program — bringing more sharp young minds downtown. Among historical treasures, don’t miss the Basque Block, with a museum and cultural center dedicated to the local Basque population that is one of the largest outside Basque Country, on the border of Spain and France. They came to Idaho to herd sheep. 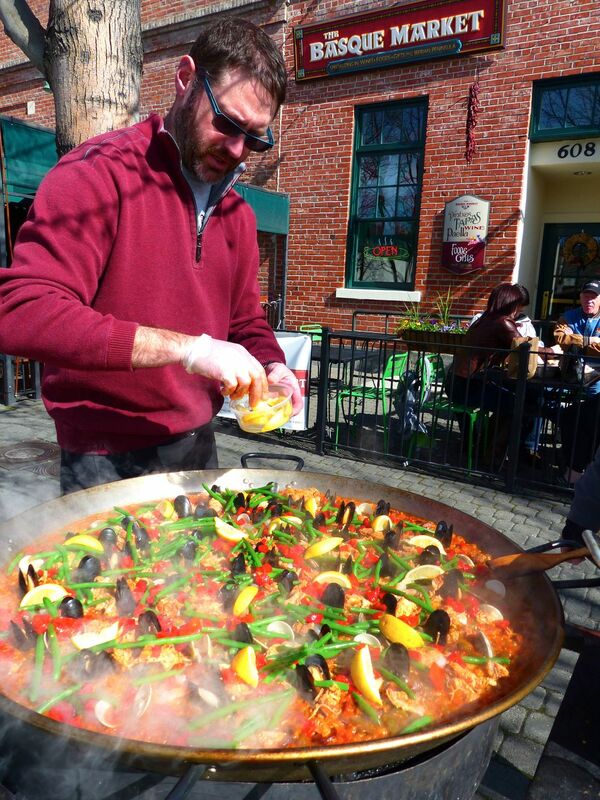 Go at noon on a Wednesday or Friday (or Thursday for dinner) and the Basque Market dishes up gorgeous paella from a giant caldron over a propane burner on the sidewalk ($8.99, and delectable; thebasquemarket.com). Around downtown on weekends, a corner vendor sells chorizo. Locals steered me to other spots, ranging from a breakfast-lunch bistro called Bacon (where bacon flavor choices include chocolate and tempeh) to a bustling sandwich bar called Bleubird, where co-owner David Kelly will mix you up one of his famous soft drinks, such as the weirdly wonderful slice-of-grapefruit and sprig-of-rosemary concoction I slurped down with my sandwich of salty lox and boursin cheese (bleubirdboise.com). Another lunch was at Dave Krick’s Bittercreek Alehouse (bcrfl.com), where sustainability extends to the basement worm bin, composting the restaurant’s organic wastes. 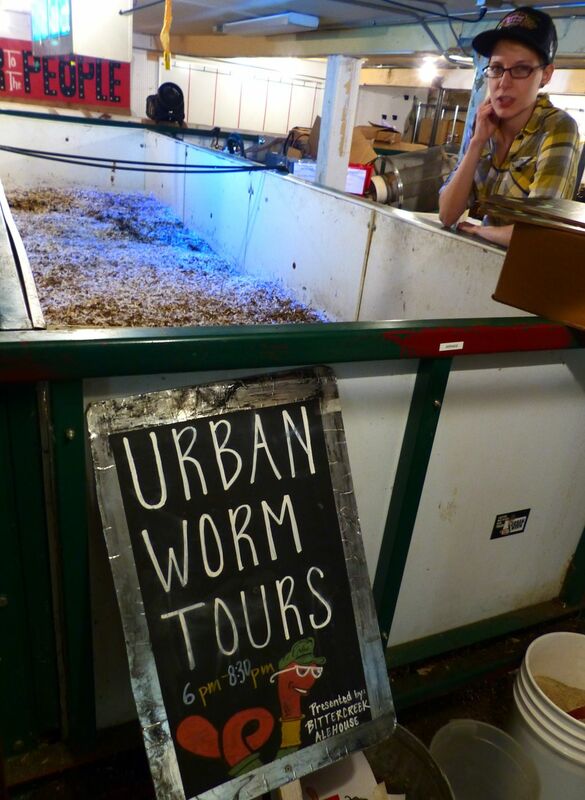 Free worm-bin tours are offered monthly on First Thursday, a downtown food-and-music fair. An afternoon snack stop, within view of the soaring Capitol dome, was Guru Donuts, the homegrown effort of Boisean Angel Moran, who comes up with goodies such as the Irish Cream Bismarck, filled with Jameson’s and Bailey’s pastry cream and glazed with dark-stout frosting (gurudonuts.com). From behind me as I ordered, turquoise-haired Morgan Mesias, a 23-year-old art student, urged me to try a lemon poppy-seed doughnut. She raved about Boise’s evolution. 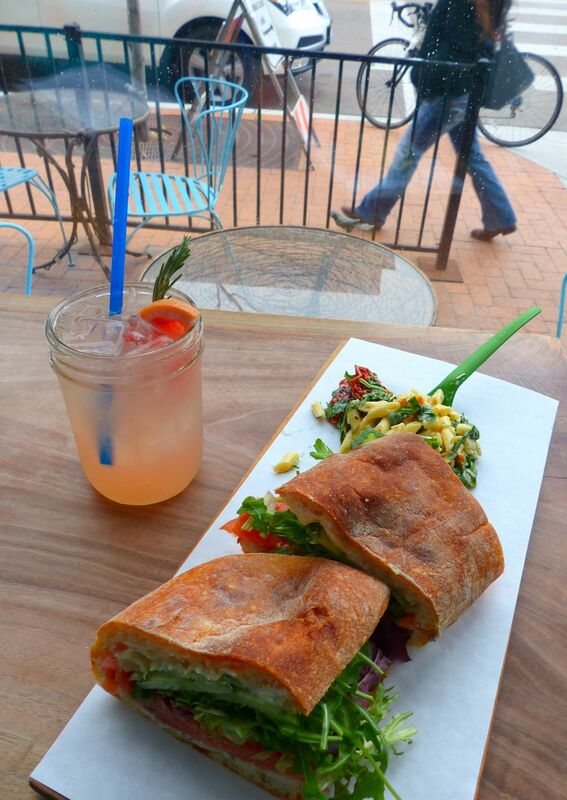 She talked up another place to eat: Fifth Street’s High Note Café, which I had biked past. That’s how easily you make friends in laid-back Boise. 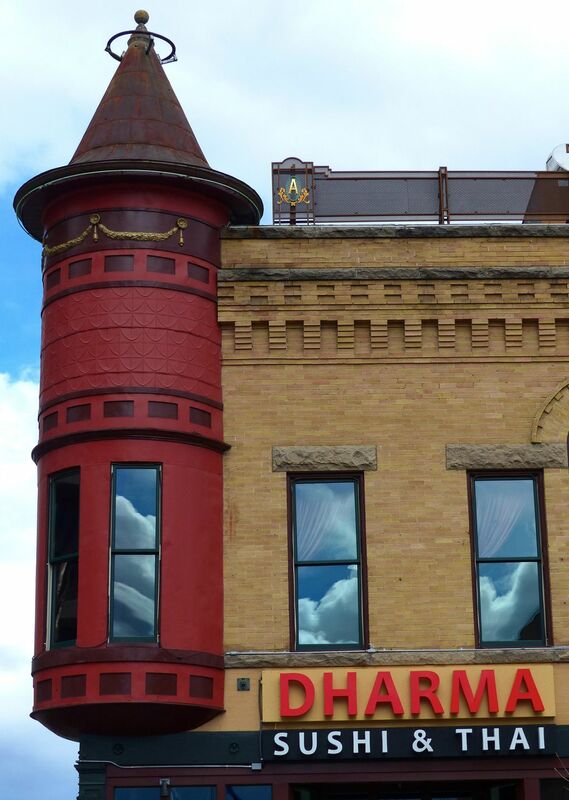 And find a good, cheap dinner, too — with no spuds in sight. 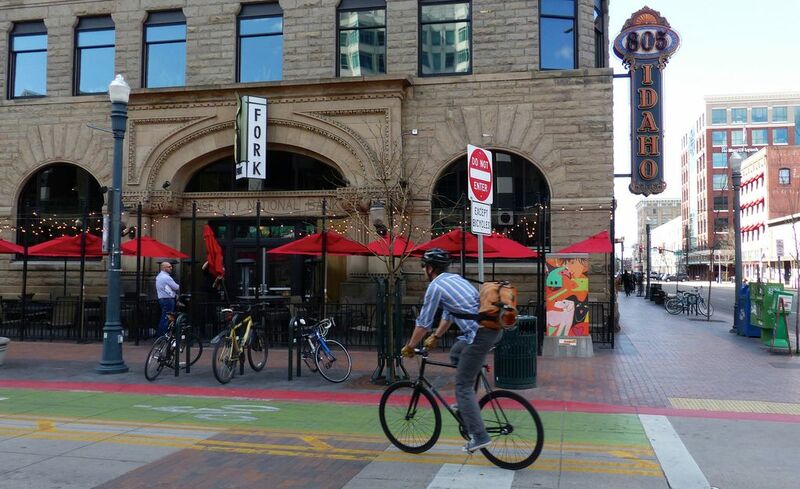 Alaska/Horizon and Delta/SkyWest fly direct from Seattle to Boise in just over an hour. By car, it’s 495 miles from Seattle (about a 7½-hour drive). I liked the feel and location of Boise Guest House, 614 N. Fifth St., top-rated on TripAdvisor and within view of the state Capitol. Starting at $109 on May weekends: boiseguesthouse.com. Bring a bike, or rent one at Idaho Mountain Touring, 1310 W. Main St.; idahomountaintouring.com.